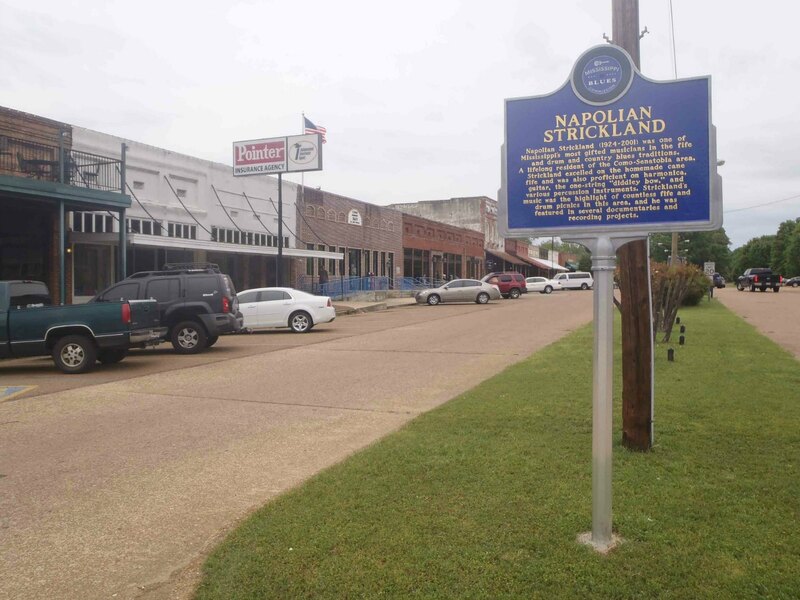 The Mississippi Blues Trail marker commemorating Napolian Strickland is on the center median in the 200 block of Main Street in Como, Mississippi. 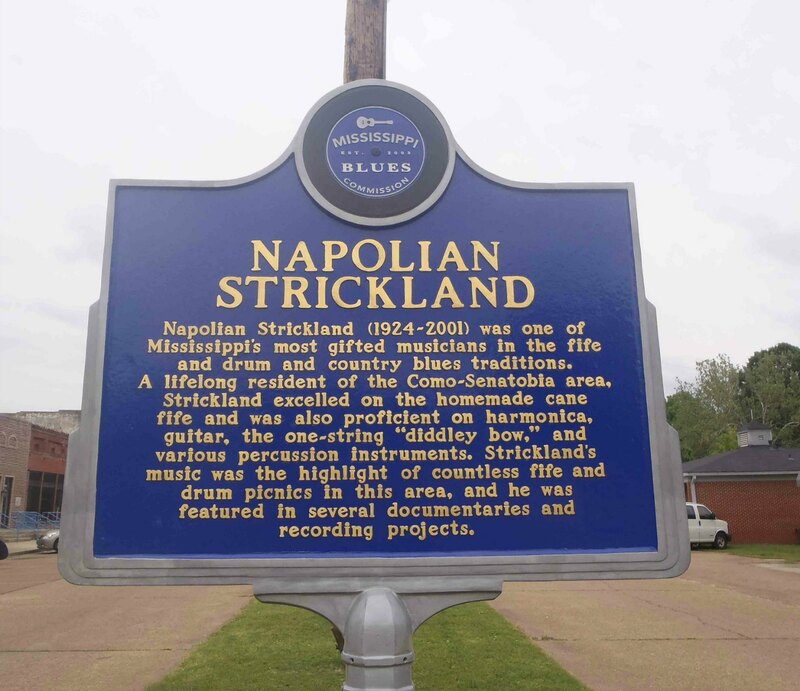 “NAPOLIAN STRICKLAND – Napolian Strickland (1924-2001) was one of Mississippi’s most gifted musicians in the fife and drum and country blues traditions. A life-long resident of the Como-Senatobia area, Strickland excelled on the homemade cane fife and was also proficient on harmonica, guitar, the one string “diddley-bow,” and various percussion instruments. Strickland’s music was the highlight of countless fife and drum picnics in this area, and he was featured in several documentaries and recording projects.”. There are two more Mississippi Blues Trail markers nearby on Como’s Main Street: one for Mississippi Fred McDowell and one for Otha Turner.